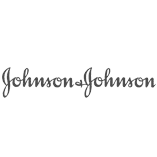 To update the packaging for the current Johnson & Johnson Rehidrat range. Drive home the fact that Rehidrat is all about hydration. This design update needed to feel fresh and modern whilst maintaining strong taste appeal. Contrast opted not to break away from the well established original design of this well known product. Incorporate water elements in the imagery. The water added a sense of movement to the design whilst also emphasising the fact that the product is all about hydration and the consumer only needed to add water. Contrast also created the required point-of-sale elements for the launch of the updated packaging. A further range of Rehidrat products, specifically aimed at sports men and women, was designed by Contrast. The range is called Rehidrat Sport. The Rehidrat brand has gone from strength to strength. It is now one of South Africa's most recognised products for the treatment of dehydration and has become a household name for sports fanatics.